Let's start with an operative definition: digital watermarking is the act of imprinting a digital signal or pattern on a digital file. Since all digital files are – well – digital, one may watermark any of them regardless of format. There are two basic forms of digital watermarks: perceptible and imperceptible. The perceptible watermarks commonly associated with hardcopy have been with us for centuries, starting with elegant stationery and currency, then with proof sheets, galley proofs, photographic samples, and so forth. They're everywhere, so we'll emphasize them in this column. Contradistinguished from perceptible digital watermarks of the imperceptible variety that are present but not apparent in a document or image. Both types have their place, but serve different purposes with some overlap. The table below illustrates the differences. they must be recognizable as such in some manner - i.e., one must be able to separate the watermark from the thing watermarked even if it is not possible to recover the original source. Of course, there are additional criteria that may be applied (e.g., the fragility, reversibility) but these will get us started. It should also be recognized that some applications are less demanding than others. One might have higher standards for determining the source of a leak of classified documents than determining the source of scanned digital postcards. For brevity, I’ll limit myself to digital imagery in the discussion to follow, although similar techniques apply to all other forms of digital media consistent with the character of the watermark. Perhaps the easiest way to introduce the concept of a digital watermark is with a primitive form that all of us are used to: metadata in documents. You can easily look for metadata in Microsoft Word documents by clicking on “info” or selecting it from a pull-down menu. In recent versions of Word you can get a summary of the metadata with the Document Inspector (File>Info>Prepare for Sharing>Check for Issues>Inspect Document> -- note: do not click “Remove All” unless you want to remove metadata permanently. If you’re new at this, I recommend closing the window after you’ve viewed the summary!) Although Word metadata is pretty primitive, it does satisfy our definition of imprinting a digital signal pattern on a digital file – in this case the digital signal or pattern is simply hidden text. Word can create a perceptible watermark as well (Page Layout>Watermark>select watermark). There’s an entire family of tools built into modern office productivity suites that may be thought of as variations on the watermarking theme (e.g., headers, footers, background images, track changes, and so forth). They all involve superimposing one digital element on another. I’ll illustrate another type of text-oriented watermarking below. See if you can detect the difference in the two lines of text in the box below. The ruled lines clearly reveal that the position of the “f” in the lower line is several pixels to the left of the one above it. Let’s assume that the horizontal bar of this “f” is 10 pixels long, 4 on each side of the vertical stroke. We could adopt a convention that the position of the left most pixel in the horizontal bar designates a number 0-4 according to its position relative to the preceding “e”. We have thus created a primitive watermarking convention with 5 values. One may do that with every character in any printed line by spacing, kerning, modifying the size and shape of the serifs, modifying the length of the descenders, and so forth. One doesn’t have to be an expert in calligraphy to see that one may bury a lot of information in such text-based watermarks. 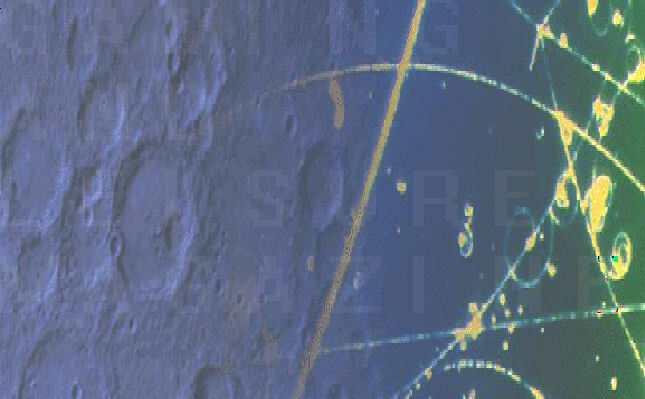 Here’s another example – this time of spatial watermarking. I’ll use an interactive watermarking tool that we built in my lab many years ago to demonstrate proof-of-concept. In this case, I’ll superimpose some blocked text on an image background by altering the least significant bits of the color palette for each affected pixel in the image. From our experience, the least 4 bits of a 16-bit color palette are frequently not that important for the recognition of a typical image because the part of the image unaffected by watermarks is the equivalent of a 12-bit color palette. Watch the watermark immerge from the image in the following three figures as the hidden watermark is made gradually made visible. There are a few thousand intervening stages of illumination of the text that are also possible. The point should be taken that using the least significant bits of the color palette to hide information is relatively straightforward and may have little effect on the overall quality of the image. 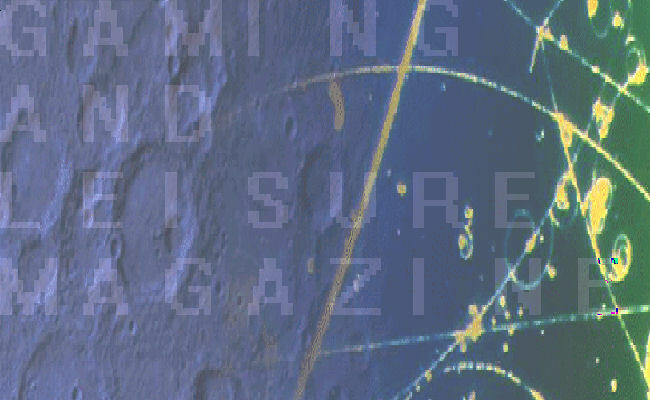 This is an example of using the same algorithms for both perceptible and imperceptible watermarking applications. 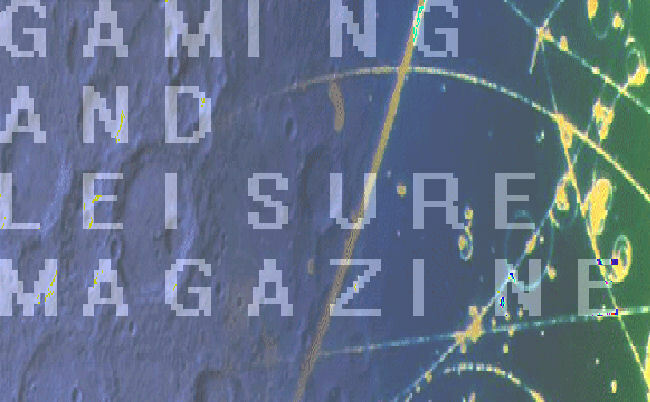 Variations on this theme of spatial watermarking abound. The result is depicted in Figure 4. 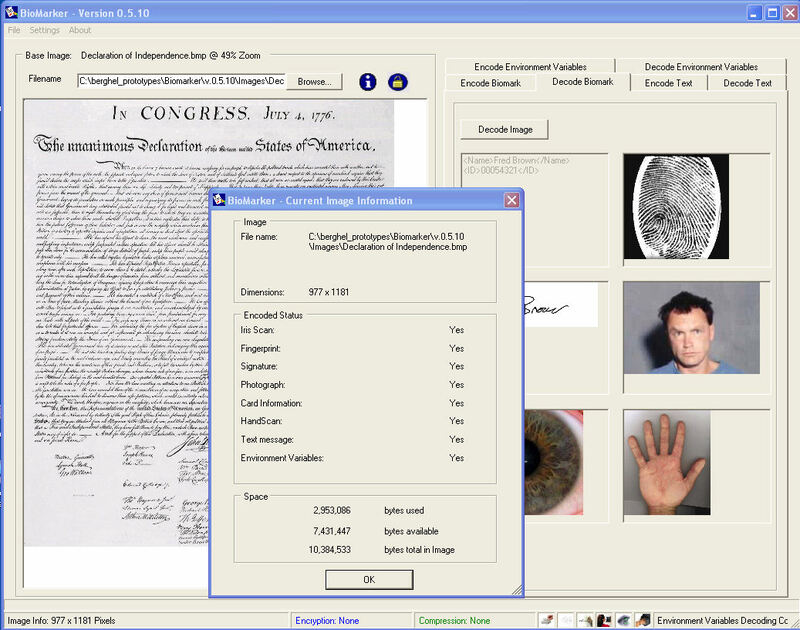 Figure 4: Biomarking at Work: Information summarized in right panel is actually embedded in the digital image (JPG) of the Declaration of Independence at left. As the superimposed metadata window shows, all of these components have been successfully encrypted with AES256 and encoded into and then decoded from the 10MB digital copy of the Declaration of Independence. Approximately 29.5% of the image was used for this watermark. To put this in perspective, there are approximately 2,000 characters of text on a printed page. Using the same level of compression as our example, we could have used Biomarker to bury nearly 1,500 pages of AES 256-bit encrypted text in our image in the same amount of space. That’s a reasonably sized book. I originally developed Biomarker for provenance purposes for the security and protection of classified or proprietary documents. Although I didn’t bother with it, I could have added an owner’s DNA profile for good measure. Watermarking is here to stay. Publishers are using it to protect online content. The motion picture industry is using it. Record producers are using it. Not surprisingly, the early adopters think of digital watermarking it terms of the protection of intellectual property. It has only recently been extended to classified and proprietary documents – and not very successfully at that. From a law enforcement perspective, it’s a good thing that Anonymous admits its derring do or companies like Stratfor would never find the leaks. Eventually, digital watermarking will be extended to all forms of provenance of digital documents – in the widest sense. In fact, even camera manufacturers have adopted digital watermarking capability. It won’t be long before it surfaces in cell phones. After Wikileaks, the light may even go on within Governments.